The assassin profession is proving to be more difficult than Calen anticipated. Not exactly overwhelmed with job requests, Calen is forced to land on a nearby planet to hunt for food and find supplies. Calen Natari is actually one of the main characters in a serial science fiction blog that I write called Muzik Chronicles. She’s a young hunter from a desert planet and she recently discovered that her shooting skills are a hot commodity. All of the stories on that particular blog are flash fiction style (1,000 words or less). But I really enjoy Calen’s character. She has a certain youthful naiveté but at the same time she’s ambitious and skilled. So I decided to make a sort of extended adventure featuring her and publish it as a standalone ebook. Novels and I do not get along. At all. I have made several good attempts at starting a novel; all failed. I will write novellas though. 25-30,000 words seems to be my cap. I struggled with the novel thing for a long time. I have always loved writing but I had to come to grips with the fact that my brain does not think in novel-sized stories. I like details but I also like efficiency. I can’t stand it when people waste my time and that seems to come out in my writing. I love trying to come up with ways to create an environment in as few words as possible. I enjoy the story possibilities that short form unlocks. I have the freedom to explore all sorts of genres. I also like being able to tell a larger story arc using smaller pieces. Each little tidbit adds a tiny bit more to the universe I’ve created. Lots. Edgar Allen Poe is one of my absolute favorites; I love his twisted endings. Charles Dickens and his ability to write a long story using installments. Edgar Rice Burroughs taught me to tap into the child within. Louis L’Amour and his short westerns. PG Wodehouse with his brilliant Jeeves and Wooster characters. 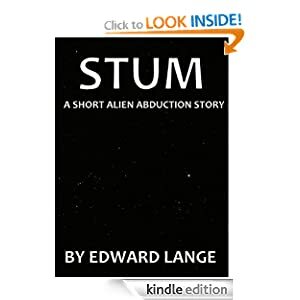 Available on Amazon, Barnes & Noble and Smashwords. 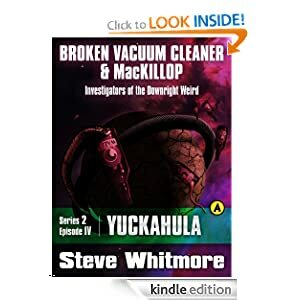 An amoral scientist trying to regain control of his experiments. A deceptively innocent woman fleeing dangerous people. And a random vigilante pursuing unknown horizons. It all adds up to deadly intrigue and weird danger for Gunner Long, one-time bounty hunter, full-time cynic. This is actually two stories. “Thrown To The Wolves” is actually my first short story, an introduction to the lead character of both of these, Gunner Long. I enjoy a lot of detective-like fiction and wanted to do something similar. I had the concept of my lead character floating around in my head for a while, and this story gave me the chance to get Gunner solidly on paper for future reference. 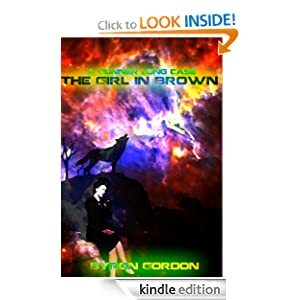 “The Girl In Brown” is an introductory tale of Gunner’s pursuits following “Thrown To The Wolves”. I wrote it because I was bored. Once I was finished, the character was so firmly planted in my mind that I’ve written several more shorts about him and now my first (finished) novel is featuring him and his acquaintances exclusively.. I have only started two novels, the second one WILL be finished by the end of the summer, and I’ve written over a dozen short stories. I like writing shorts, as they fit well with the time and attention span I have to give them. However, a novel gives characters a lot more room to grow, and it has been fun to see that happen in my current project. Once I finish the novel, I might know for sure, but right now I’d have to say I prefer shorts. This is an easy one. Rudyard Kipling. The man can spin a yarn that pulls me in like a black hole. I like action and adventure in my fiction, which he sometimes supplies, but he’s the writer who opened me to the intrigues of literary fiction, where those aspects are not heavily weighted, if they are even present. Not to mention, he writes exceptional dialogue. I enjoy writing dialogue and hope some day to be close to his level. Someday. 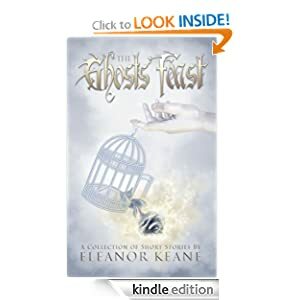 Available on Amazon, Barnes & Noble, Smashwords and in paperback form. A person wakes up (yes yes, I know, but we have to start somewhere). They don’t know where or who they are, and to top it all off the house they woke up in starts talking to them. A Novelette of 14,200 words, this is a speculative science fiction story with a hint of adventure and high technology. 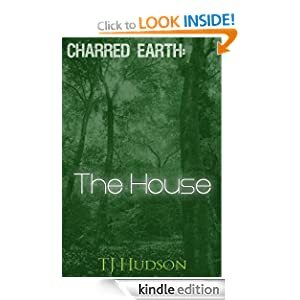 The first book in the Charred Earth series. The story came from my speculation about a future, post resource, Earth. I wondered what a society would look like once all the fossil fuels had been used, minerals mined but still having access to technology. I also did not want the setting to be post apocalyptic. I prefer writing short fiction at the moment so I can hone my talents. 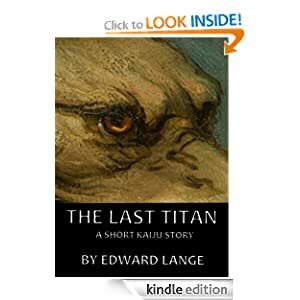 I plan on writing longer novels, but will never abandon the short story format. I like and was inspired by the short story collections of Iain M. Banks and Neil Gaiman. As the only woman on the first contact team, xenolinguist Toni Donato expected her assignment on Christmas would be to analyze the secret women’s language — but then the chief linguist begins to sabotage her work. What is behind it? Why do the men and women have separate languages in the first place? What Toni learns turns everything she thought they knew on its head. 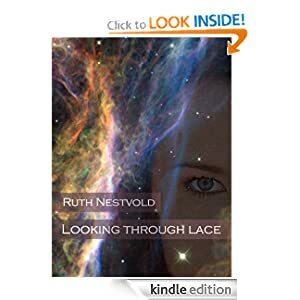 Originally published in Asimov’s in 2003, “Looking Through Lace” was a finalist for the Tiptree and Sturgeon awards. The Italian translation won the Premio Italia for best work of speculative fiction in translation in 2007. It might sound strange, but the initial inspiration for the story came from misuse of German in a story I read. It made me want to write a story that would illustrate how complex language really is, much more difficult than many people who have never become fluent in a second language realize. I enjoy both. Some ideas are just smaller than others and aren’t right for a novel. Short stories are also very gratifying because they can be completed so quickly, whereas a novel (for me) takes years to write. James Tiptree, Ursula Le Guin, Connie Willis and Shirley Jackson are some of the names that come to mind.